My previous life (University life) was pretty much about food and consumerism. I ate a lot, I didn’t exercise at all. I went to eat in the morning, then went to class and then went to eat after class. Also, had two dinner everyday. One around 7 o’clock and one around midnight. And the fact that I sleep a lot. So, you know what happened. I got fat. Around 49kg. Yeah, my sister also said that I have to change my attitude a bit. She actually told me to speak more, try to get in a conversation, since I was (Maybe, still) the silent type that won’t say anything unless you ask or try to talk to me first. It’s because I used to think that no one in this world can understand me except my sister (Because we’re both crazy in an awesome way). That’s why, I never really enjoy my university life. People there are just not my type. I want to enjoy myself. I just couldn’t do that back then (Like how I enjoyed my high school life). My early days in Nishi-kasai, Tokyo is pretty much spent with my sister. We live in a small mansion near the school (Because I have problems waking up in the morning). After she went to Sydney, Australia, I haven’t really got friends. I did tried. Talking with some people, some did work. 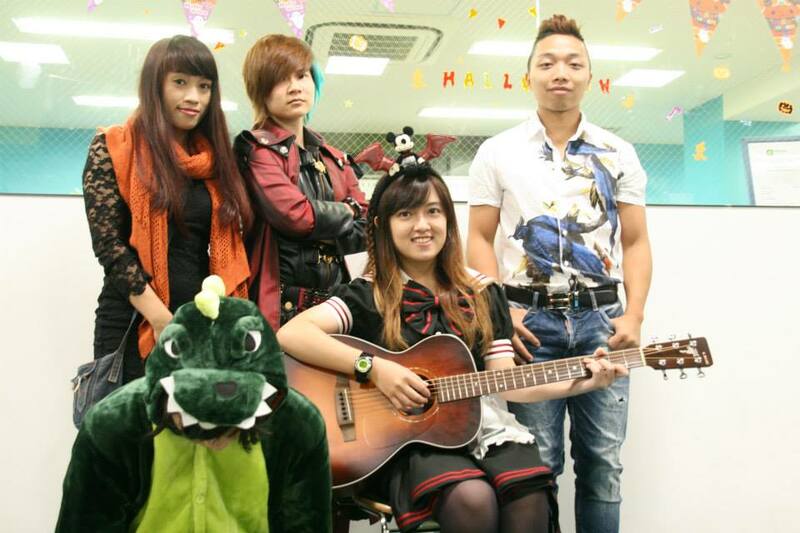 I got friends from Thai, Vietnam, Taiwan, China. Back then, I already have a friend from my high school, she’s actually a senior but, she lives quite far from Nishi-kasai. 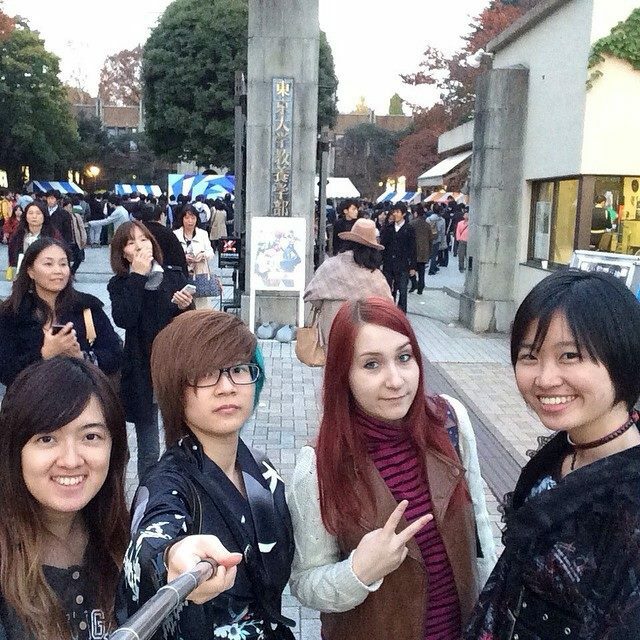 So, we only meet at Shinjuku or Ikebukuro (even until now). From the right: Wine, Vietnamese Friends. At the train station from Asakusa. I never really spend my days in Nishi-kasai. I usually just went to Shibuya, Ikebukuro, Akihabara, Harajuku, or Roppongi. Alone. 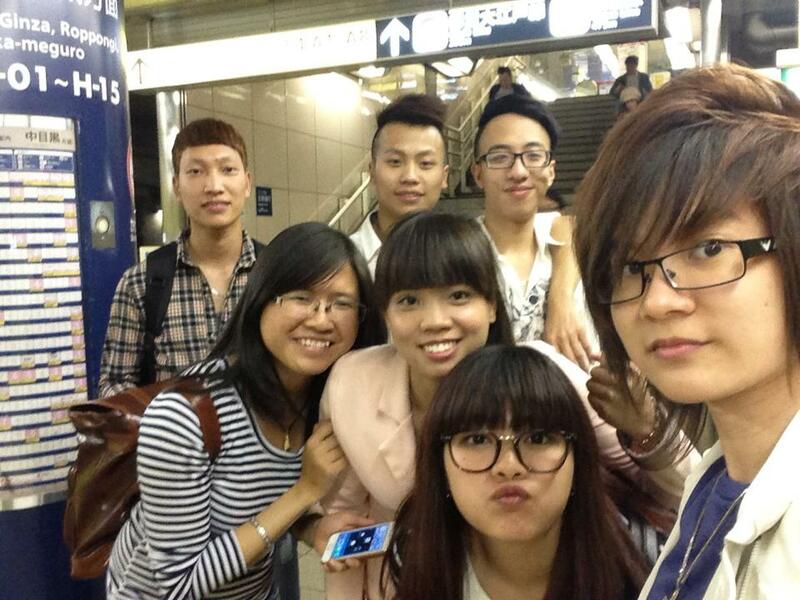 I only went with my friends on weekend (rarely). Whenever I decided to spend my time at home (because of the cold, rain, or being sick) I ordered some pizza from Domino’s or just McDonald’s double cheeseburgers with a lot of fries. I never eat veggies (Only nori if you count that as veggies). I ate a lot of omelet rice, ramen, sushi too. The point is, I eat a lot and I like pizza with a lot of cheese. Hahaha… We all love pizza. My early days in Japan indicates just how stressful for someone as emotional as me, and all that paranoid, depression, stress, I have to get through to get to enjoy myself like now. There’s a part of me who loves the silence but, there’s also a part of me who wants to be free from my own limitation. It’s just like ordering pizza. Some part of you hesitates because you’re afraid of the consequence, getting FAT. But, some part of you want to be free, to be able to taste that pizza, to bite it, chew it, feel the cheese melt. I always ended up ordering rather than sit down stare at the empty walls and die of starvation. I always choose pepperoni, italian sausage, onion, extra cheese. Build my own instead of choosing one from the menu. Anyway, it’s difficult to start a new life, outside my comfort zone. I’m not good at Japanese, I tell you that. And my social ability is worse! On the other hand, despite all of the things that I fear, I choose to try. Rather than failure, what I fear most is that… I’ll regret it on my deathbed. So yeah, of course, I’m happier now that I feel free. I lost some weight. I’m 45kg now. I still sleep a lot and I still got problems waking up in the morning but, I can smile from the heart now, just like at high school. I throw away the part I don’t like, I choose the best of me. Just like for my pizza, no freaking veggies EVER! 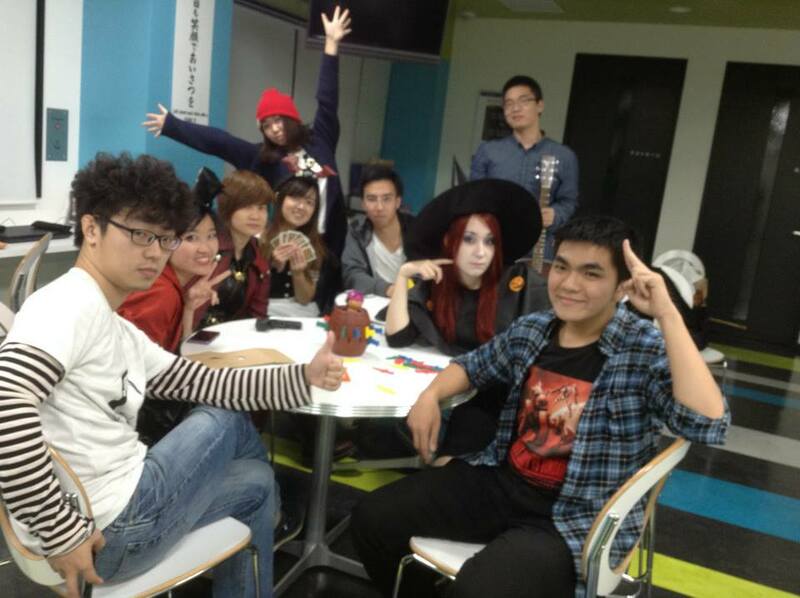 We took this picture at the end of a halloween party at school. Wine with friends at a small halloween party. 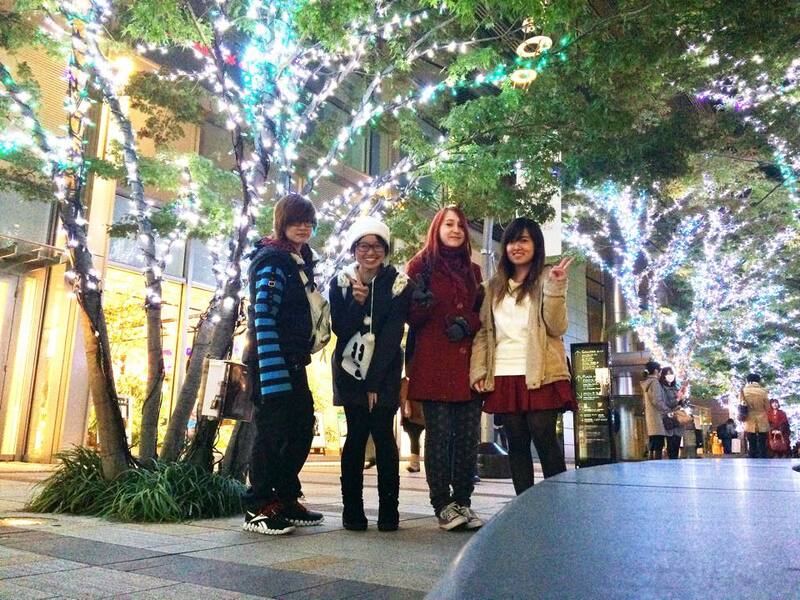 From the left: Wine, Friend from Indonesia, Rusia, Indonesia, at Roppongi. 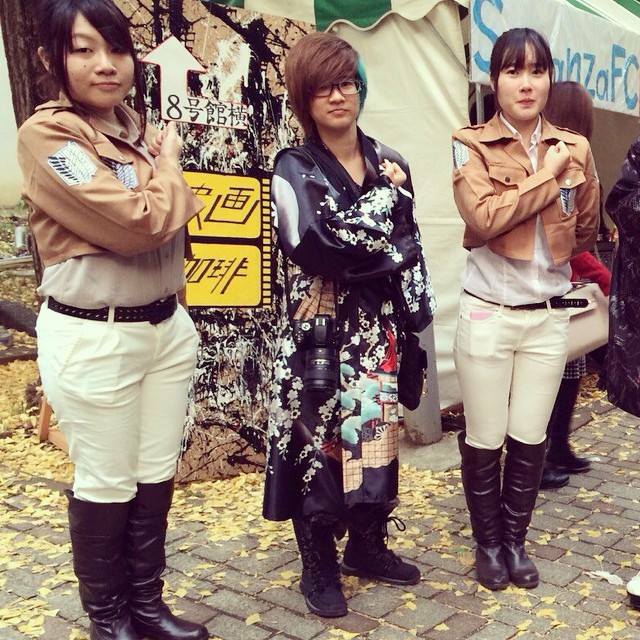 Wine with cosplayer at Todai to promote their food stall. From the left: Friend from Indonesia, Wine, Friend from Russia, Friend from Indonesia. 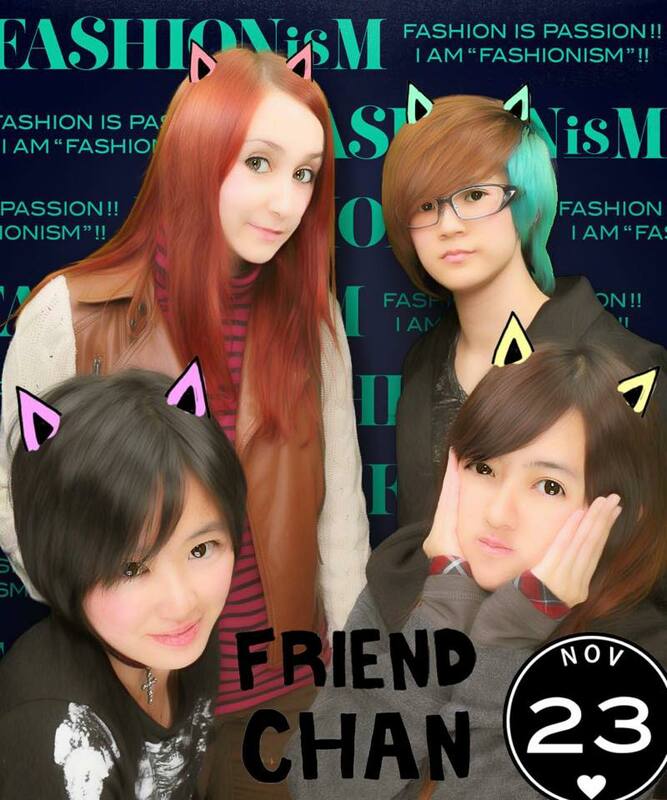 This is a picture taken at a purikura machine at Shibuya.